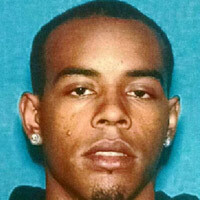 Twenty-two-year-old Emily Anna Fox, a Dos Pueblos High School alumna and a student at California State University Northridge (CSUN), and her boyfriend Jerrad Cardae Scott, 24, of La Mesa, were killed at Fox’s Winnetka apartment building in the west-central San Fernando Valley on January 17 in a double homicide reportedly at the hands of her ex-boyfriend Brian Anthony Gonzales. Gonzales, 24, a Santa Barbara native, was apprehended two days later on a bus in Southern California, according to Los Angeles Police Department officials; he faces two counts of murder at his arraignment on February 26. At about 4:30 p.m. on Sunday, January 17, authorities responded to the 7600 block of Oso Avenue on a report of an assault with a deadly weapon, said LAPD officials. Gonzales reportedly “confronted” Fox and Scott in the hallway of her apartment building, as stated in Los Angeles District Attorney Jackie Lacey’s Thursday press release. “While Scott attempted to escape, Fox dialed 9-1-1. Gonzales is accused of catching up to Scott and bringing him back at gunpoint to Fox’s location before fatally shooting both of them,” according to the District Attorney’s Office. Authorities discovered both Fox and Scott with gunshot wounds. They were declared dead on scene. Gonzales is being held without bail until his arraignment in Department 100 of the Los Angeles Superior Court, Van Nuys Branch. According to other news sources, Gonzales — also known as Brian Hammons — had attended Santa Barbara High School very briefly in 10th and 11th grade. Raised in the Santa Barbara area, Fox graduated from Dos Pueblos High School in 2011, where she was reportedly a star of the golf team. As reported in CSUN’s The Sundial, she was studying for a career in law enforcement, and Scott was a father. Scott was reportedly a star football player at Spring Valley’s Monte Vista High School in 2008 and 2009, according to East County Magazine.